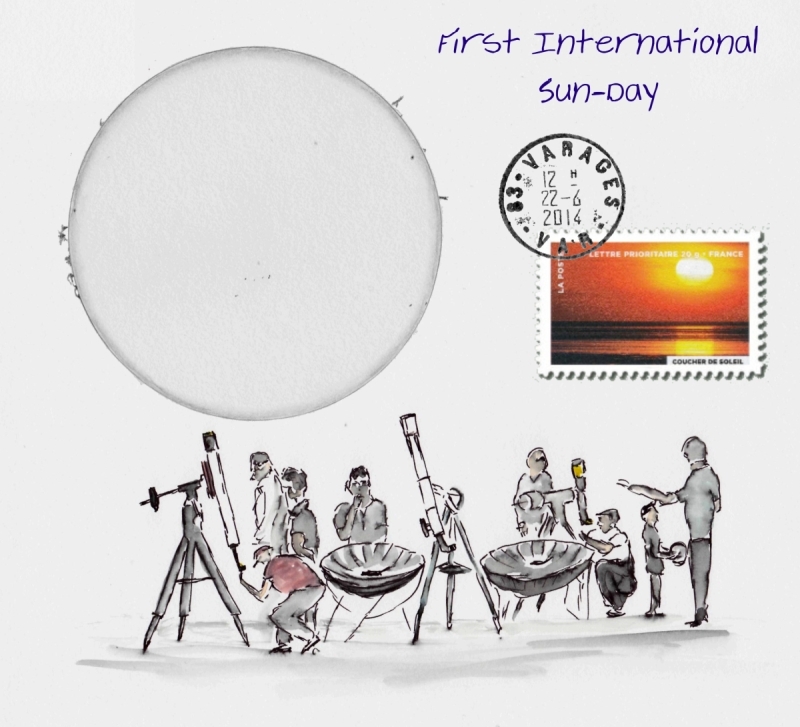 This first International sun-day was a good time to show the sun to the public, today in the north hemisphere the day is much longer than the night. The day before, the local radio broadcast make our promotion. 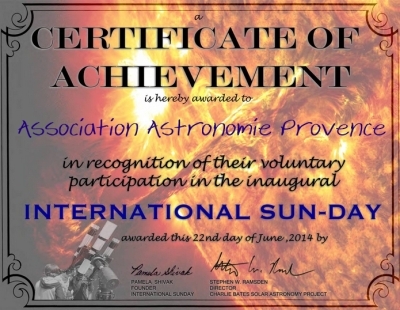 With the local association “AAP” (Association – Astronomie – Provence) of Varages we had good time and very nice public. Despite the fact that the sun was quite calm, we can show a very tiny archipelago of sun-spots on the middle of the disk as well as some spots neat the limb. Anyway, the proms make our day; they are much more attractive for the public today. To sketch the H-alpha part of the sun (here the portion out of the disk) I used a Coronado 60mm refractor with a focal length of 1000mm ; for the inner portion, the disk in Wight Light, I used my 102mm refractor, same focal length with glass objective filter. This is an impressive composition and a fine day to view the sun and use it to cook snacks. Great sketch and nice composite. Really catches the flavor of the day. Thank you very much ASOD friends !